I’ve received a request to post a primer on drafting Solforge. I’m certainly not a draft master yet, but I feel like I’ve learned a ton since that first draft that, if I had known when I first started 12 or so short drafts ago, I would have fared far better. Most people are introduced to Solforge by playing Constructed with either someone else’s deck, or with the cards that a starter account begins with. Decks have powerful, powerful creatures and removal spells. Decks tend to revolve around specific interactions. No where is this more prevalent than in the recently popular Weirwood Patriarch/Tarsus Deathweaver decks, where almost every card works in conjunction with the others to create armies of monsters quickly and efficiently. Especially early in the draft, looking at how a card performs at it’s various levels is the first thing I examine. Some cards, like Deepbranch Prowler, are powerful options at rank one, but scale poorly relative to other cards. Generally, I find it easiest to look at how cards perform at ranks two and three since most games will go well into rank three or later. There are some cards, however, that severely over-perform at rank two, like Sparkblade Assassin. Sparky is almost as good as some rank threes at it’s second rank, so don’t dismiss a card entirely because of a single poor rank. It can often be vital to have a way for a slower moving rank three-based deck to fend off the more aggressive decks that scale poorly, but try to win the game before you can take control. This method of evaluation is more useful when considering between spells you are forced to take at the back end of a pack. Spells in draft are strange because they don’t serve the same purpose as they do in Constructed. 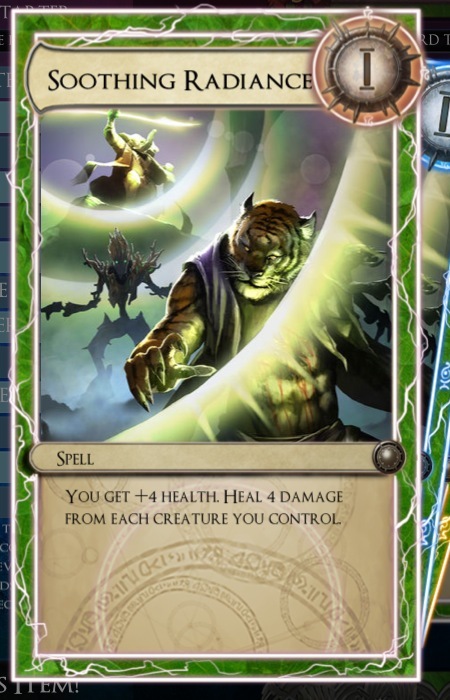 Most decks in Constructed play removal either because they are seeking to mitigate a specific weakness, or because they are trying to enable a specific strategy, typically either going bananas with Grimgaunts or playing well-scaling level three cards like Chrogrias. In draft, spells tend to be tempo oriented, mostly because it’s impossible to predict what sorts of creatures an opponent will have. Even generically good spells in Constructed like Dreadbolt and Botanimate aren’t great. Botanimate isn’t reliable enough to draw as a singleton (not to mention that the 3/3 it leaves behind is a small tempo loss). Dreadbolt can be good, but draft tends to focus on high toughness creatures. So what exactly about spells creates tempo? In almost all cases, using your spell to ensure one or more of your own creatures survive a fight is why you draft spells (other than being forced to). If you cast an Epidemic that turns two trades into your two creatures surviving, it’s like playing an extra card. Even something like Soothing Radiance can generate huge tempo swings. The other reason to draft a spell is because it can end the game. This may sound obvious, but really, Jetpack is the best common game ending spell. Many games come down to attrition, and both players’ life totals whittle down to the teens often during standoffs. However, Jetpack moves your level three Fangwood Ravager into the empty lane next to it to deal the final 20. When Jetpack isn’t ending the game outright, it still does good work. Often an opponent who lacks a good trade with a large creature will put something smaller in front of it in the hopes of putting another one down afterward. using Jetpack isn’t creating positive tempo, but it does create a favorable racing situation by moving your higher power creature that’s ready to attack into an empty lane. The very best thing about Jetpack though, is that it avoids the Botanimate issue. As mentioned before, it can be hard to draw otherwise sweet cards like Botanimate on time, but why are they actually bad? It’s actually pretty simple. Spells that require a target to be level one at rank one and scale up appropriately generally aren’t that good. Frozen Solid, Energy Prison, and Warmonger’s Mod all suffer from this issue. 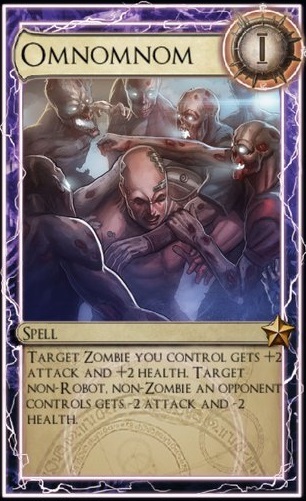 However, cards like Omnomnom, while weak at level one, can affect any board state without regard to the levels of the creatures it targets, making it playable. Sure, Grove Huntress and Magma Hound can generate obvious tempo, but really, a creatures toughness is generally what creates tempo. But it isn’t all that simple. In fact, it’s all relative. 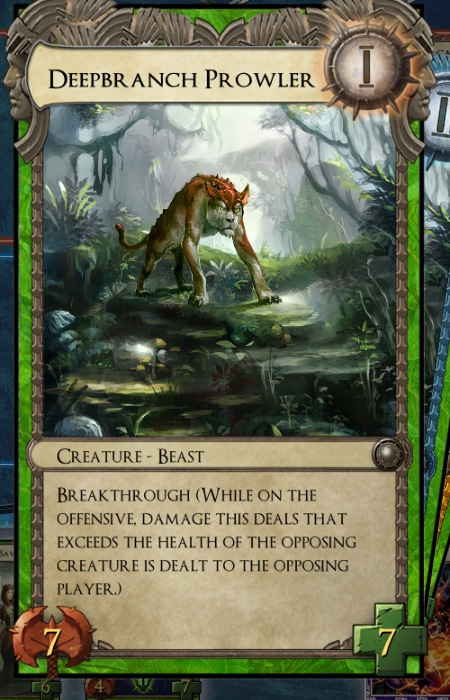 Any creature that kills something and stays in play creates tempo because your opponent has to play another card to deal with it. This is why Stonefist Giant is probably the best common in the format. I haven’t actually calculated the true average toughness of level threes, but I’m guessing that it’s right around 16, which just happens to be Stonefist Giant’s power, making it the king of tempo because it can kill two level three creatures, and often three or more level two creatures due to it’s 24 toughness. You know, you could always just take everything I’ve just taught you about drafting cards on individual merit and just toss it right out the window. It certainly makes for more exciting drafts and games, even if it likely also results in you owning less tickets and legendaries. My personal favorite is the Corpse Crawler deck. Big CC starts big and scales into a monstrous 20/21. Your goal when drafting this deck is to draft a critical mass of CC’s and ways to mitigate it’s drawback. While all the factions have creatures that work well with the Crawler, Uterra certainly has the best. Ether Hounds, Grove Matriarch, and Brighttusk Sower all provide excellent fodder. Of course, the actual best are Death Seeker and Fell Walker, which are respectable cards in their own right. I intended this to be a quick primer, but I’m over 1000 words already, so I’ll cut it off here for now. I’m thinking I have more to say on specific archetypes, but I’ll leave that for another day. I leave you with an example of a draft that was intentionally done as a gag, and ended up 3-0.